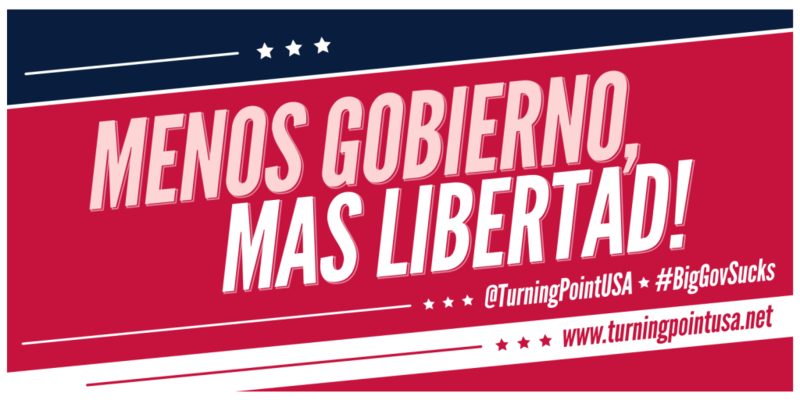 Turning Point USA is excited to announce its first annual Young Latino Leadership Summit! The Summit will be held from July 18th – July 22nd, 2015 at Pheasant Run in St. Charles, IL, and 50 of the top young latino activists from across the country will be invited to attend. The goal of the Summit is to train and inspire young latino students in high school and college to be effective conservative activists in their schools and communities, as well as provide students with the opportunity to hear from a wide range of guest speakers including elected officials, authors, and experienced activists. Attendees will also receive first-class activist training from Turning Point USA, assist with the development of campus and community-wide Latino outreach strategies, and meet a group of talented, dedicated, and like-minded young Latino activists from across the country. Attendees will receive complimentary lodging and admission, as well as a $300 travel voucher to help cover the travel costs for the trip to Chicago. *Applicants must be between the ages of 16 and 24 on July 16, 2015. *Applicants must be currently enrolled in a high school, trade school, college, or university. Questions related to the Young Latino Leadership Summit should be directed to crystal.clanton@turningpointusa.net. If you are in need of a Latino motivational speaker or want to discuss my platform to support the ILRNHA please look me up and lets do discuss working together. I am an international award winning author of a non generic bilingual book series “From the Barrio to the Board Room, Mi Barrio and Little Barrio”.